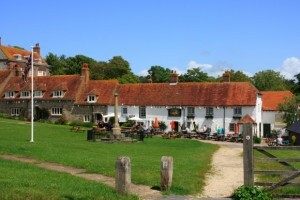 A classic winter’s walk from a pub right out of central casting – 15th century origins, oak beams, hearty food, log fire – to one of the UK’s most photographed stretches of coastline, the chalk cliffs of The Seven Sisters. It’s easier to walk this loop to the coast and back anticlockwise so the prevailing wind is at your back. Make the most of The Seven Sisters by following the South Downs Way along the coast from Birling Gap to Belle Tout Lighthouse (which has numerous film and TV credits) before circling back inland to the pub.